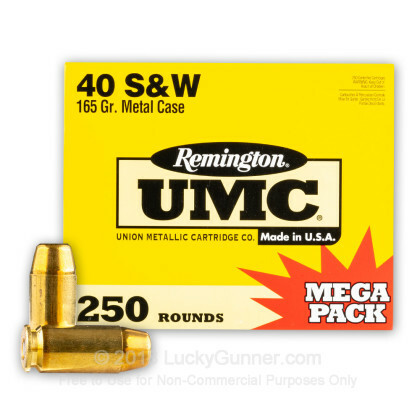 Not many ways to go wrong with Remington ammo. As far as lucky gunner goes the site is terrific. Shipping was quick and the package showed up with no markings so everybody and there brother could not tell I had ammo sitting on my porch for there taking. Good rounds ship fast haven't shot any yet but friend got some same time an place as me an shot good an no miss fires over all happy. I have owned a Glock 23 for 2 years using many factory loaded ammo brands including Blazer, Hornady, Federal with ZERO problems - no misfires, FTFs, FTEs, anything with about 2000 rounds though it. 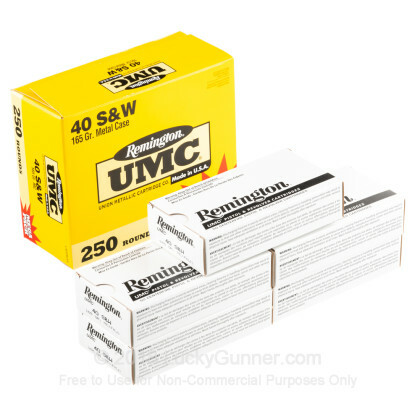 Went to the range yesterday and brought 2 boxes of Remington UMC. Out of 100 rounds, I had 5 misfires. It's not the gun. There was a clear mark where the firing pin struck the primer. I had another 100 rounds of Blazer Brass that shot just fine. Some may not think 5 misfires is bad, I think it's awful. Especially since this is my first bad experience with this gun. This is no reflection on LuckyGunner. 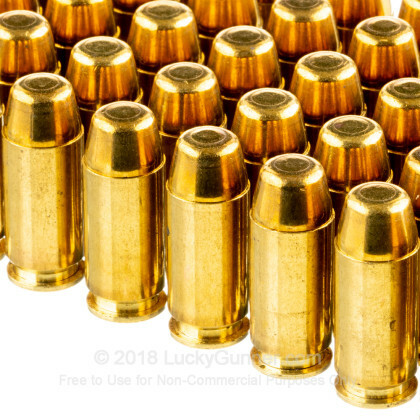 I've bought plenty of great ammo at great prices. Maybe it's just bad luck with this batch. Product delivered quickly and in good condition. Service is exceptional from this Company. I will purchase from them again with no fear. Recommending Lucky Gunner to all my friends! Great price, arrived in just a few days, works fantastic. Only thing else to say is "Thanks Again Lucky Gunner!!!" Cheaper than anyone, including shipping. I have ordered many times from the Lucky Gunner. 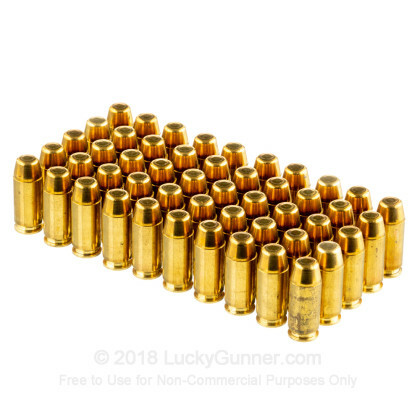 This ammo performed very well on the range. What you see on the website is what you get from Lucky Gunner. I continue to be satisfied with the quick delivery from Lucky Gunner. I am sure that I will be ordering again. I have always had good luck in my purchases. They are sent rapidly and are the correct amount. 165gr 40 Cal S&W a Winner! 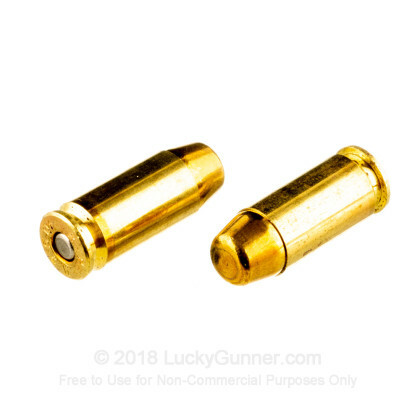 Good price per unit for a Great above average bullet. Consistent 1" groups at 25 yards and Zero Jams through my Glock! Great price as always fast shipping had it with in 24 hours and that is with standard shipping! Only place to buy ammo! Thanks Great deal!!!!!!!! 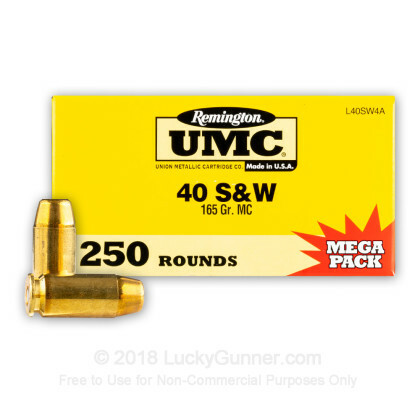 I haven't used the rounds yet but I wanted to say the price, service, and shipping are great. just qualified for Arizona Rangers with a near perfect score..........work perfect in my glock 22, not a single jam or misfire in 400 rounds.